user warning: Table './c1kidreader/cache_filter' is marked as crashed and last (automatic?) repair failed query: SELECT data, created, headers, expire, serialized FROM cache_filter WHERE cid = '2:91cb3dbe7722a3eeb809d349c95b761b' in /var/www/clients/client1/web13/web/includes/cache.inc on line 25.
user warning: Table './c1kidreader/cache_filter' is marked as crashed and last (automatic?) 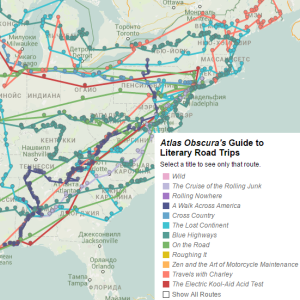 repair failed query: UPDATE cache_filter SET data = '<p>На портале Atlas Obscura <a href=\"http://www.atlasobscura.com/articles/the-obsessively-detailed-map-of-american-literatures-most-epic-road-trips\">опубликована</a> интерактивная карта, по которой можно проследить, какие путешествия совершали герои известных американских романов-путешествий, в числе которых персонажи <strong>Фрэнсиса Скотта Фицджеральда, Джека Керуака, Марка Твена, Джона Стейнбека</strong> и многих других.</p>\n', created = 1555996352, expire = 1556082752, headers = '', serialized = 0 WHERE cid = '2:91cb3dbe7722a3eeb809d349c95b761b' in /var/www/clients/client1/web13/web/includes/cache.inc on line 108.
user warning: Table './c1kidreader/cache_filter' is marked as crashed and last (automatic?) repair failed query: UPDATE cache_filter SET data = '<p><a href=\"http://vk.com/kidreader\" target=\"_blank\" rel=\"nofollow\"><img src=\"/sites/all/themes/kidreader/icons/icon-vk.png\" width=\"32\" height=\"32\" /></a> <a href=\"http://www.facebook.com/kidreader/\" target=\"_blank\" rel=\"nofollow\"><img src=\"/sites/all/themes/kidreader/icons/icon-fb.png\" width=\"32\" height=\"32\" /></a> <a href=\"http://kidreader.livejournal.com/\" target=\"_blank\" rel=\"nofollow\"><img src=\"/sites/all/themes/kidreader/icons/icon-lj.png\" width=\"32\" height=\"32\" /></a> <a href=\"http://twitter.com/kidreaderru\" target=\"_blank\" rel=\"nofollow\"><img src=\"/sites/all/themes/kidreader/icons/icon-twitter.png\" width=\"32\" height=\"32\" /></a> <a href=\"http://feeds.feedburner.com/kidreader\" target=\"_blank\" rel=\"nofollow\"><img src=\"/sites/all/themes/kidreader/icons/icon-rss.png\" width=\"32\" height=\"32\" /></a></p>\n', created = 1555996352, expire = 1556082752, headers = '', serialized = 0 WHERE cid = '2:433da351ffd26b3fb95a9ac41951483c' in /var/www/clients/client1/web13/web/includes/cache.inc on line 108. На портале Atlas Obscura опубликована интерактивная карта, по которой можно проследить, какие путешествия совершали герои известных американских романов-путешествий, в числе которых персонажи Фрэнсиса Скотта Фицджеральда, Джека Керуака, Марка Твена, Джона Стейнбека и многих других.